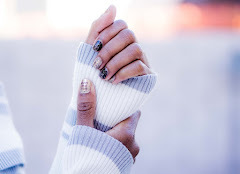 After going to Hamilton on Wednesday (yes, that Hamilton), I thought that I'd get another entertainment post up for you, muses. Today I want to share 5 shows that you aren't watching, but should be. 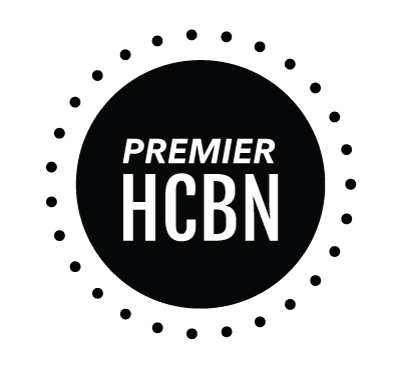 Remember my What to Watch -- Fall 2016 lineup? Number one on my list was Atlanta, which as you might know, won a golden globe this year. So I think it's safe to say that I know my stuff. If you guys have watched or are watching any of these, let me know in the comments! Modern-day black women might be described as strong and confident; in other words, just the opposite of Issa and Molly. 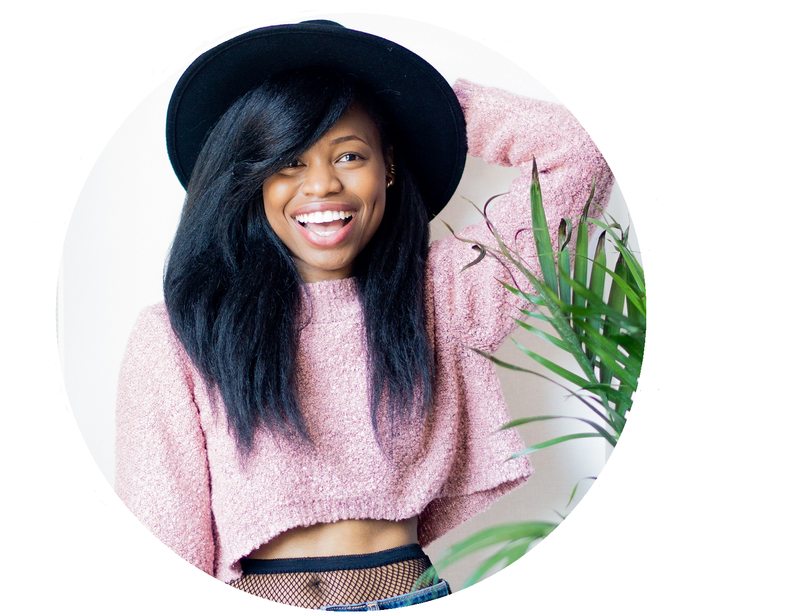 As the best friends deal with their own real-life flaws, their insecurities come to the fore as together they cope with an endless series of uncomfortable everyday experiences. 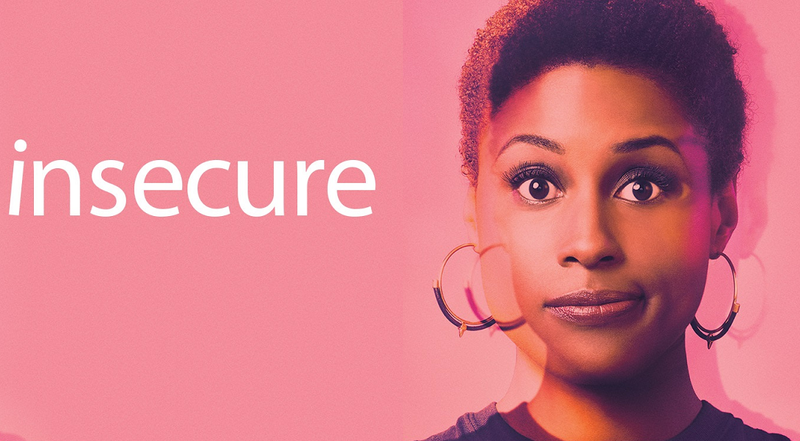 Insecure came out in 2016 and created a ton of buzz because it was written and created by the star of the show, Issa Rae. It touches on racial, societal and gender issues, with a perspective that's not often shown on TV. Plus, it's hilarious. Before HBO, Issa Rae was best known for her super popular YouTube web series Awkward Black Girl, in which Insecure is partially based on. You can watch the entire first season on HBO on demand now before season two starts July 23. 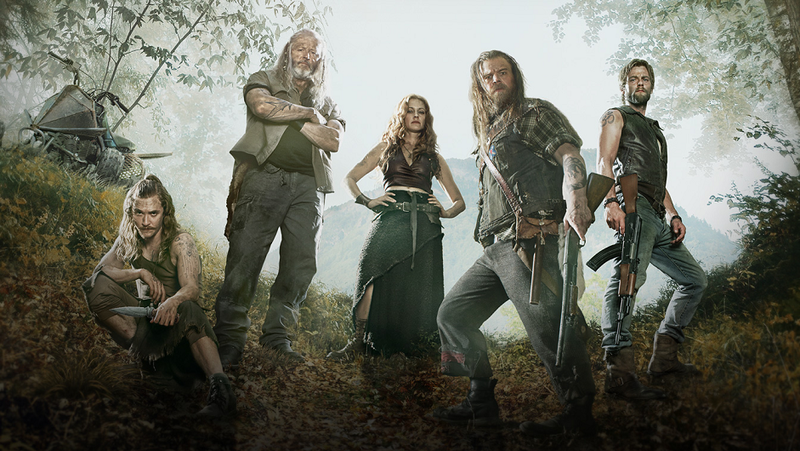 Outsiders -- WGN Tuesdays 9 p.m. The Farrells have lived by their own laws and traditions in rural Kentucky for more than 200 years, turning Shay Mountain into a peaceful homeland -- outside of society. Now, in the rugged, mysterious hills of modern-day Appalachia, there's a battle brewing between those trying to take the Farrells' land and key family members who vow to protect their home and defend their way of life, no matter the cost. 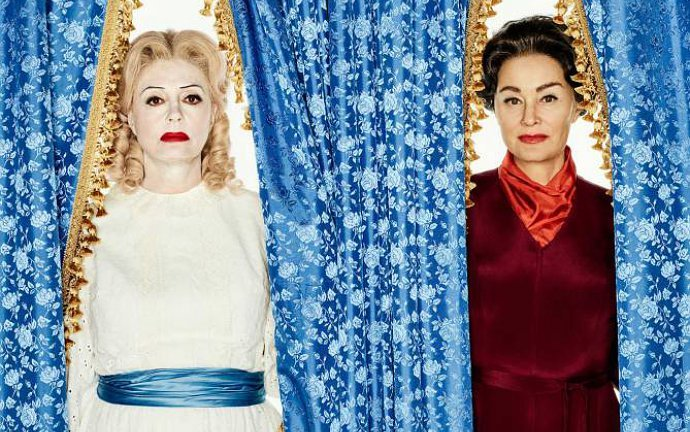 Feud: Bette and Joan -- FX Sundays 10 p.m.
"What Ever Happened to Baby Jane?" co-stars Joan Crawford and Bette Davis, two of the most prolific actresses in Hollywood, had a famous feud while shooting the 1962 film. This docudrama recalls the details of the legendary rivalry the Oscar-winning actresses had while filming and extended well after the cameras stopped rolling. When I first heard about this show, and saw that Susan Sarandon was set to play Bette while Jessica Lang was in for Joan, I knew that I had to watch it. I knew who these two stars were (how could you not have heard of Joan Crawford and Bette Davis? ), but I had no idea that they hated each other. Bette was once quoted as saying this after learning about Joan's death: "You should never say bad things about the dead, you should only say good. Joan Crawford is dead. Good." The crazy thing is, even though their feud really escalated while making this particular film in 1962, the film was actually a big hit that helped reignite their fading careers (fading mainly because it was hard for older women to get roles). And this show might give you some insight as to what might have spurred their tumultuous feud. Hint: outside influence. 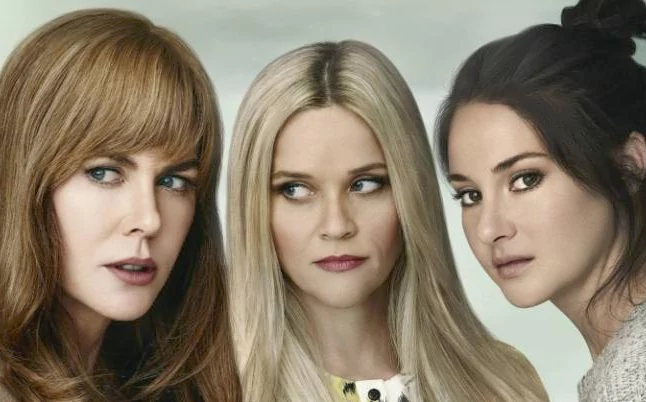 Big Little Lies -- HBO Sundays 9 p.m.
Based on the same-titled best-seller by Liane Moriarty, Big Little Lies weaves a darkly comedic tale of murder and mischief in the tranquil beachfront town of Monterey. Amidst doting moms, successful husbands, beautiful children, and stunning homes exists a community fueled by rumors and divided into haves and have-nots, exposing fractured relationships between husbands and wives, parents and children, and friends and neighbors. Moriarty's books always come up on my feed when I'm looking for a new read. The internet must have known that I would have liked her stuff. As soon as I saw that one of her books was going to be made into a miniseries on HBO starring Reese Witherspoon, Nicole Kidman, Shailene Woodley, Zoe Kravitz (the list goes on), I knew that I had to watch it. Especially since it's set in Monterey, which is a beach town that's a little over an hour from where I live. The pacing and editing of Big Little Lies is fantastic. Reese is back in full force and Nicole shows a side of herself that you don't get to see often. Even the children on this show are entertaining. And, oh yeah, did I mention that there's a murder involved? Fulfilling a promise to his deceased father, one-time outlaw Jesse Custer returns home to West Texas to take over his dad's church. Jesse's mission, however, becomes twisted when his body is overcome by a cryptic force that unleashes a highly unconventional power. Together with hell-raising ex-girlfriend Tulip and Irish vagabond Cassidy, the preacher embarks on a journey to find God in a world inhabited by holy, hellish and everything-in-between. 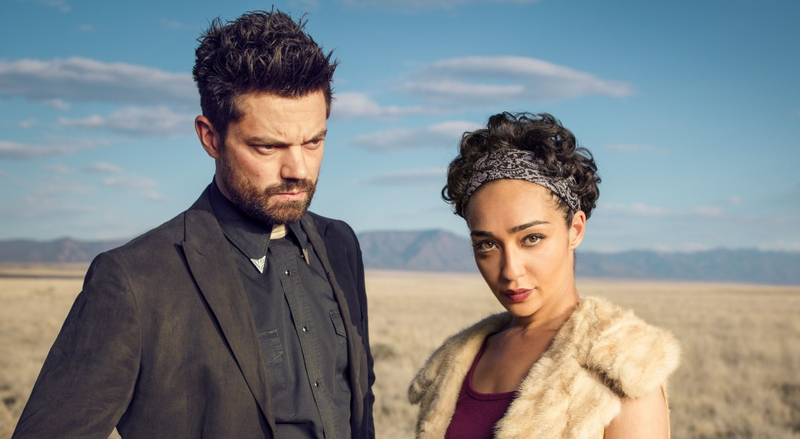 Preacher, like The Walking Dead, is based on a comic book franchise but with a dark comedic vibe. It might not be a show for everyone, but if it sounds like something you could be into, then you'll love the payoff. It's unique and completely out there with a lot of supernatural elements. Plus, it stars Dominic Cooper and Ruth Negga, who are a real-life couple. Season two starts June 19 so catch up on demand while you still can. Are you watching any of these? Or are there any other shows you'd recommend? I just finished watching all 7 seasons of True Blood, so I'm due for something new. I've loved Big Little Lies so far! Did you read the book? I didn't and I don't plan to, but I am enjoying the show. I think the main difference is that the book is set in Australia instead of Monterey (which is actually 45 minutes south of where I live). We are going to start watching Big Little Lies this weekend. Everyone has been raving about it! Can't wait to see what all the fuss is about. I don't want to over hype it but it's really good. It's super stylized and has a great soundtrack to go along with the fab acting. I sadly have not seen any of these but need to get on it ASAP! Yes, for sure. Insecure is the easiest to start because it's half hour comedy. Feud is a semi-true story and Preacher is good if you're OK with gore and folklore. Big Little Lies is heavier but so worth it. Oooh. Totally checking out Preacher! Thanks for the list! Glad that one caught your attention. I actually just binged it last week. It's so weird but really great! Did you like Preacher? I'm excited for season two this summer. Definitely want to watch Feud and Big Little Lies. You do know your stuff! Everyone I know likes Big Little Lies. I'm really looking forward to watching Feud and Pretty Little Lies, I like to wait until seasons are completely finished before I start something but they are definitely on my must watch list. Totally have to check out Big Little Lies! I haven't watched it yet! I've heard so many people suggest Big Little Lies. I guess I should read it! I just started 13 Reasons Why on Netflix. I read the book ages ago, possibly when it first came out. It was definitely a book that made me laugh and cry. The first episode is really good. I think I'll force myself to space it out with just one episode per day. I actually want to watch 13 Reasons Why so thanks so much for the reminder. I didn't read BLL (my friend did), but I will say that I finished the show last night and now I'm actually re-watching it. It's really, really good.